Gylfi Sigurdsson skipped Swansea City's trip to Birmingham City on Sunday (AEST), while Marko Arnautovic scored his first goal since joining West Ham United. The start of the new football season continues to near and Sunday (AEST) was a busy day for pre-season action all over Europe. Marko Arnautovic scored his first goal for West Ham United and Joe Hart made his debut as Slaven Bilic's men drew 2-2 with Werder Bremen, the Bundesliga side claiming the Betway Cup 3-2 on aggregate after Saturday's (AEST) 1-0 win. Burnley came from a goal down to draw 1-1 at Nottingham Forest, Andre Gray scoring his fourth goal of pre-season, while Marco Silva's Watford was held 0-0 at Aston Villa. 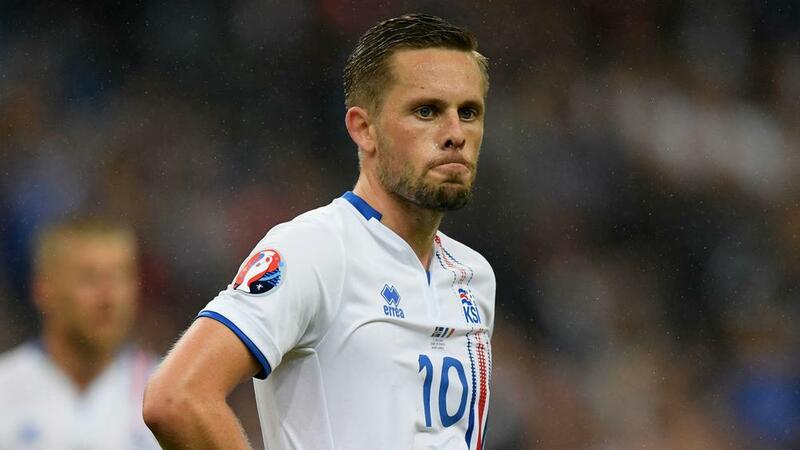 Midfielder Gylfi Sigurdsson was not included in Swansea City's squad for a 2-0 win at Birmingham City as rumours of a move to Everton for the Iceland international continue. Chelsea loan striker Tammy Abraham and Leroy Fer hit second-half goals for Paul Clement's men. Elsewhere, Wilfried Zaha was on target for Crystal Palace in a 1-1 draw with Metz, while Sporting CP beat Fiorentina 1-0. Celtic warmed up for its UEFA Champions League qualifier second leg with Rosenborg on Thursday (AEST) with a 5-0 battering of Championship side Sunderland. Callum McGregor hit a hat-trick, with Jonny Hayes and Stuart Armstrong also on target for the Scottish champion at the Stadium of Light. Both Brighton and Hove Albion and Newcastle United failed to win their friendlies on Sunday (AEST), with Premier League openers for both teams just two weeks away. Chris Hughton's Brighton drew 1-1 at Norwich City, while his former club Newcastle lost 2-1 against Bundesliga side Mainz, Viktor Fischer scoring a late winner. Hoffenheim was also a 2-1 victor over English opposition, Germany international Sandro Wagner hitting the decider for Julian Nagelsmann's men against Derby County. West Bromwich Albion suffered a 2-1 loss at Bristol Rovers of League One, but injuries to three players were more concerning for head coach Tony Pulis. Matt Phillips pulled out with a tight hamstring before kick-off and his fellow wide players Chris Brunt and James McClean were withdrawn either side of half-time. "Pre-season is all about getting the players through without picking up injuries and so this is the most disappointing part of the game for me," Pulis said. Striker Manolo Gabbiadini was among the goal scorers as Southampton won 3-0 against Saint-Etienne on Sunday (AEST). There was also a victory for Bournemouth, which beat Queens Park Rangers 1-0 thanks to Jordon Ibe's winner in a benefit match for QPR legend Stan Bowles. Leicester City went down to a 1-0 loss at neighbour Wolverhampton Wanderers of the Championship, Ivan Cavaleiro scoring the only goal on the hour-mark.